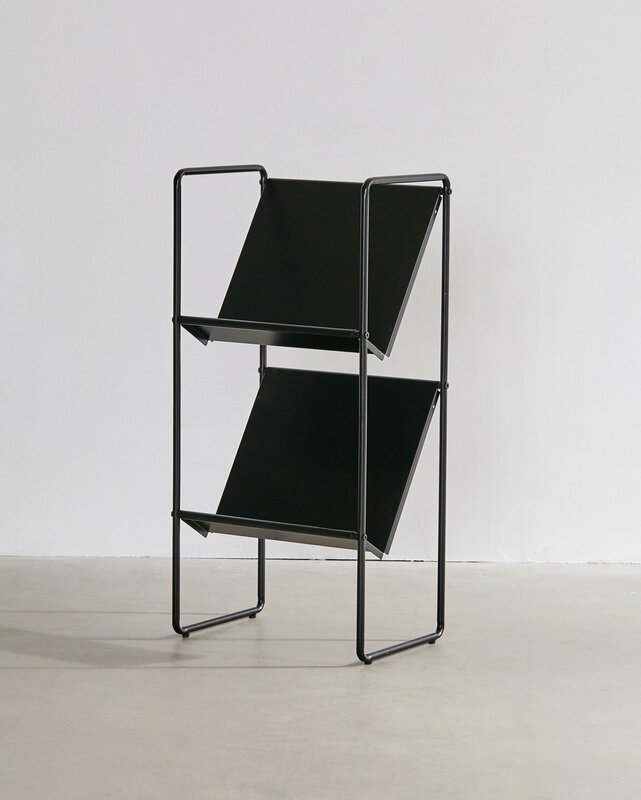 Powder-coated, industrial-inspired metal storage rack perfect for all your vinyl LPs! Equipped with 2 spacious shelves at a leaned pitch for maximum storing. Use it to stash mags + more, too! Assembly required.